By combining the pathology services of the two Trusts, and implementing a fully-integrated hub and spoke network, iPP provides a model which is improving quality and speed, whilst also delivering cost savings. A major part of the initial service reconfiguration has focused on updating the phlebotomy service. 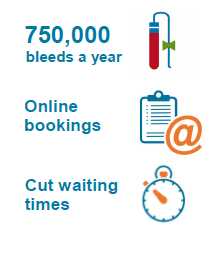 Pathology First oversees 750,000 bleeds a year at 19 sites including outpatient clinics, GP surgeries and community hospitals and clinics. The service needed to become more efficient whilst expanding the appointment offering, cut waiting times, reduce staff and patient stress and take bookings online or via a call centre. Prior to reconfiguration patients chose their most convenient site, walked in, took a ticket and waited their turn. Waiting times could be as long as three hours, with crammed waiting rooms, queues in the car parks, traffic jams on approaching roads and patients sometimes even fighting over whose turn was next. Patients and staff were often unhappy and stressed. The new online booking system has been embraced by patients with more and more going online or ringing the call centre to make appointments. Waiting times have reduced and the general stress levels of both patients and staff have reduced, enabling an improved patient experience as well as a more relaxed working environment. People changed their behaviour and waiting times were reduced in just 4 months. • Need for patient engagement and adoption. • GPs still require some walk in appointments. • Every site needs to increase number of appointments available. • Future proofing systems for increased volume – growing to scale. • Multiple clinics throughout the region – each has different milestones, eg Orsett had to have the new system implemented within 4 months. • Live reporting – giving the joint venture real time information and re-porting. • Providing a system that allows the individual clinics to feedback progress. • Streamline processes involved and make them more efficient. Pathology First chose to partner with swiftQueue to implement a smart queue management system. The new system allows them to offer faster organisation of bookings and customer service, whilst also analysing transactions and recognizing areas that could be improved to provide more efficient phlebotomy services. The entire service is being remodelled into four distinct services: Community, Ward, Domiciliary and Paediatric. Every aspect is being scrutinised and overhauled. New clinics will open and inefficient and underused clinics will close. The future provision of the service will look considerably different but it will be efficient, cost effective and easier to access for the patients who require it. 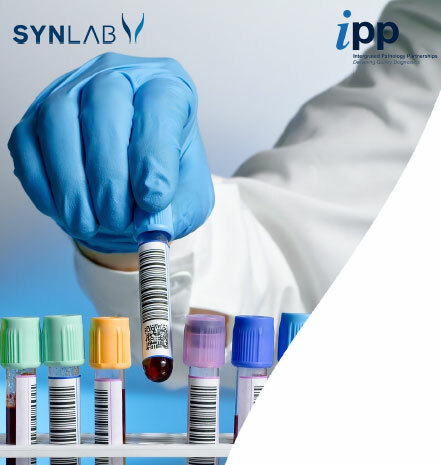 PATHOLOGY FIRST is a joint venture between Basildon and Thurrock University Hospitals NHS Foundation Trust, Southend University Hospital NHS Foundation Trust and Integrated Pathology Partnerships (iPP), part of SNYLAB, Europe’s leading pathology services company. INTEGRATED PATHOLOGY PARTNERSHIPS (iPP) was established in 2010 to work in partnership with the NHS to deliver transformed pathology testing services in the UK. iPP now conducts more than 24 million tests per annum and employs over 600 staff across seven sites in the UK. SWIFTQUEUE are the leading supplier of clinical appointment scheduling, in the UK and Ireland. Working across a number of NHS Trusts swiftQueue have extended their healthcare platform to support the drive for successful digital health transformation. The swiftQueue solutions captures patient details at source and connects primary care, acute care clinics and community care resources in a connected health continuum. The online scheduling of health and care services is the first step in developing an efficient and effective digital health strategy. 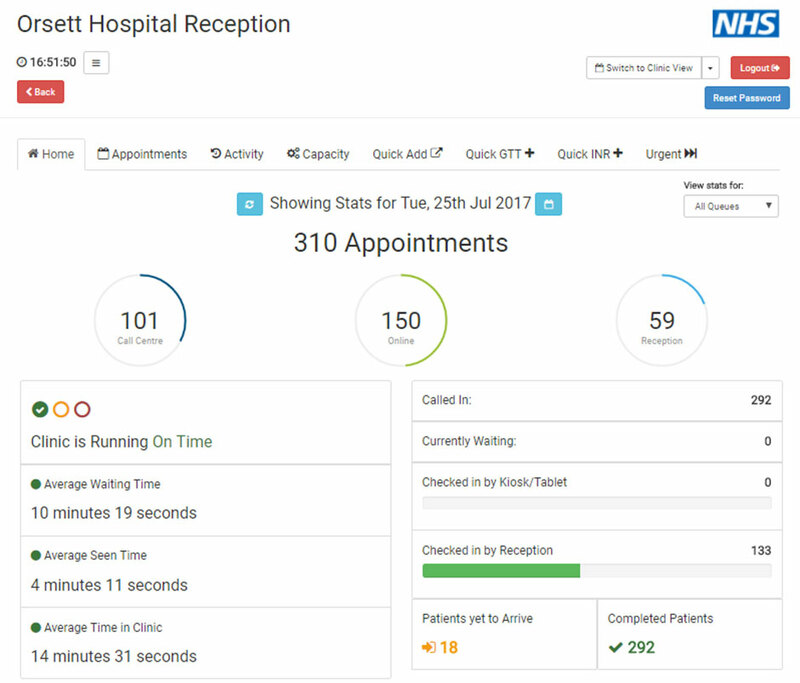 The patient first focus delivered by swiftQueue has reduced waiting times, minimised DNAs, reduced stress on patients and staff across a range of specialities and clinics.